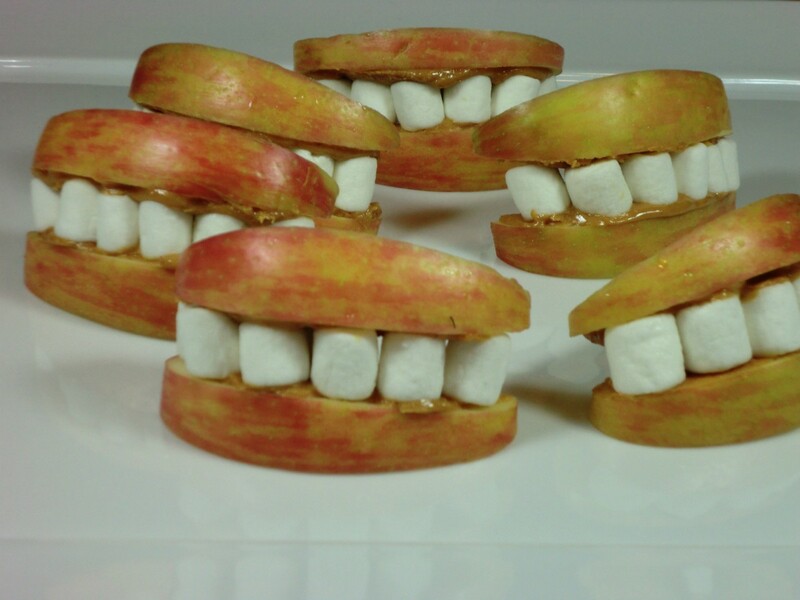 If you are looking for a cute Halloween snack try apple monster mouths. This is a guide about making apple monster mouths. 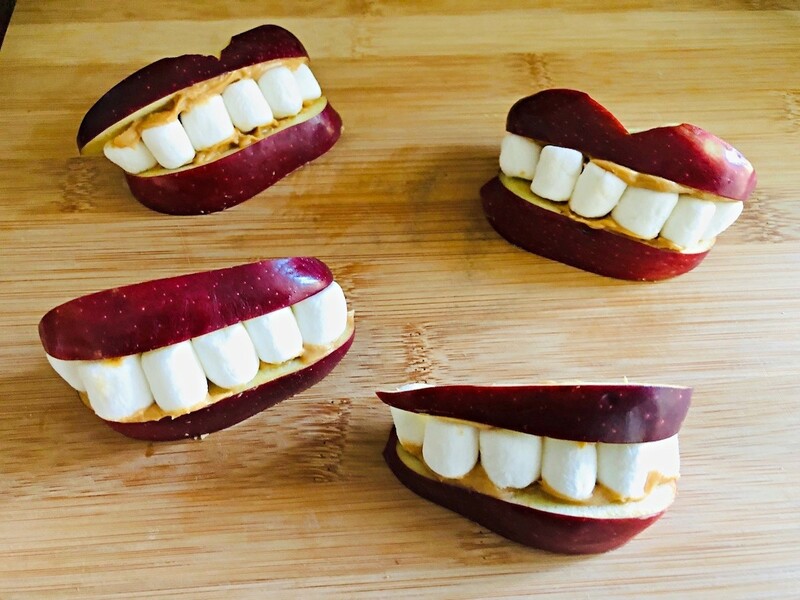 These are tasty apple snacks that look like smiling mouths. 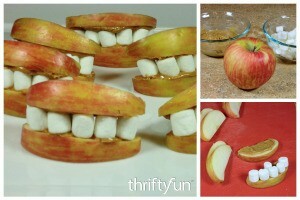 They are so easy to make, kids will have fun assembling them... and devouring them! 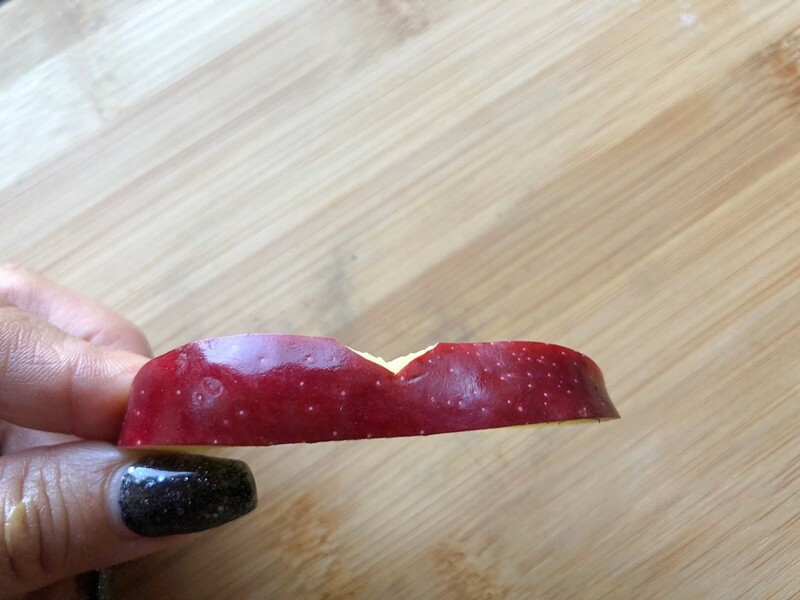 Cut the apples into rather thin slices, getting rid of any core bits. Pat them with a kitchen towel to remove any moisture. 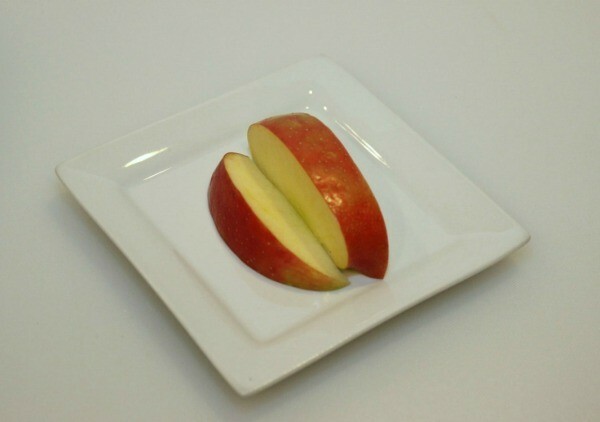 You can cut a triangle out of some of the slices to resemble lips with cupid's bows (the double arch). 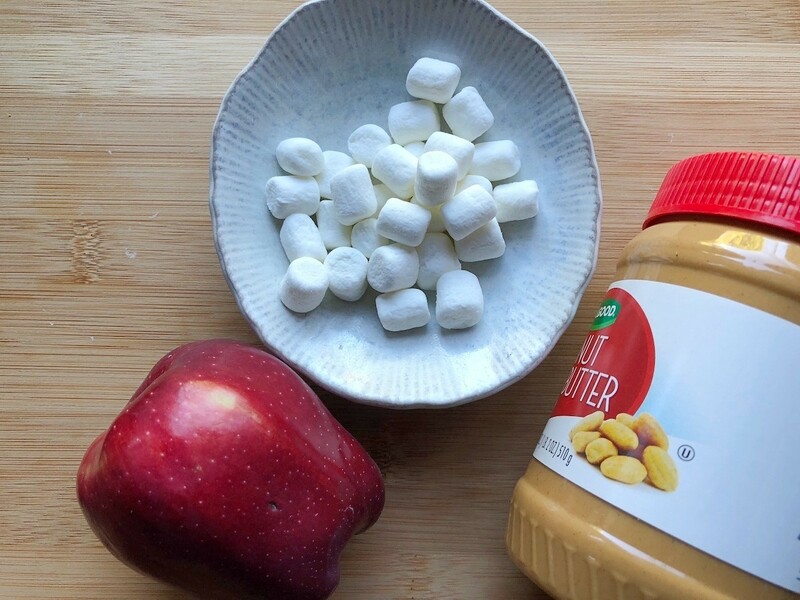 Spread a thin layer of peanut butter on an apple slice, then stick on a row of marshmallows. 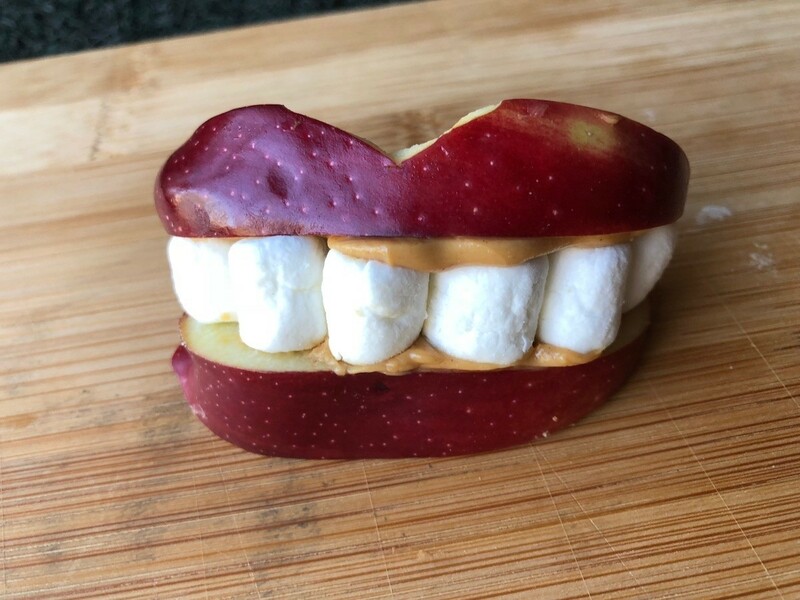 Spread some peanut butter on the top lip slice, then place it on the marshmallows. Hold in place for a few seconds. 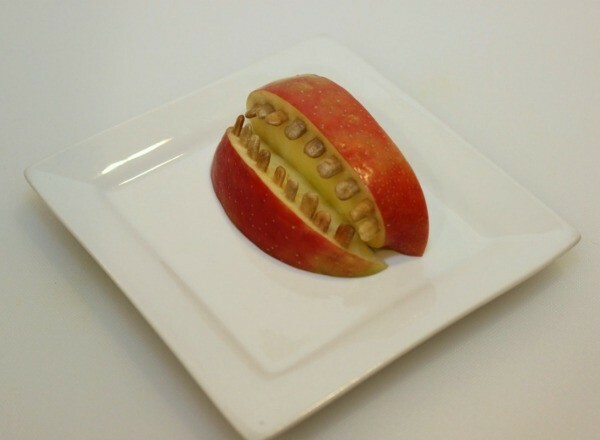 Our daughter made these scary apple monster mouths for school and she wanted to make them again at home. 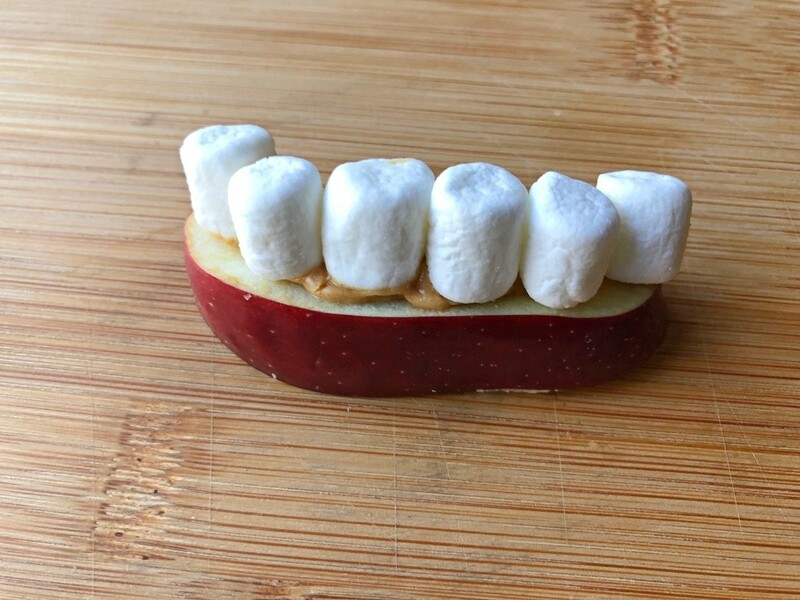 They are fun to make and even more fun to eat! 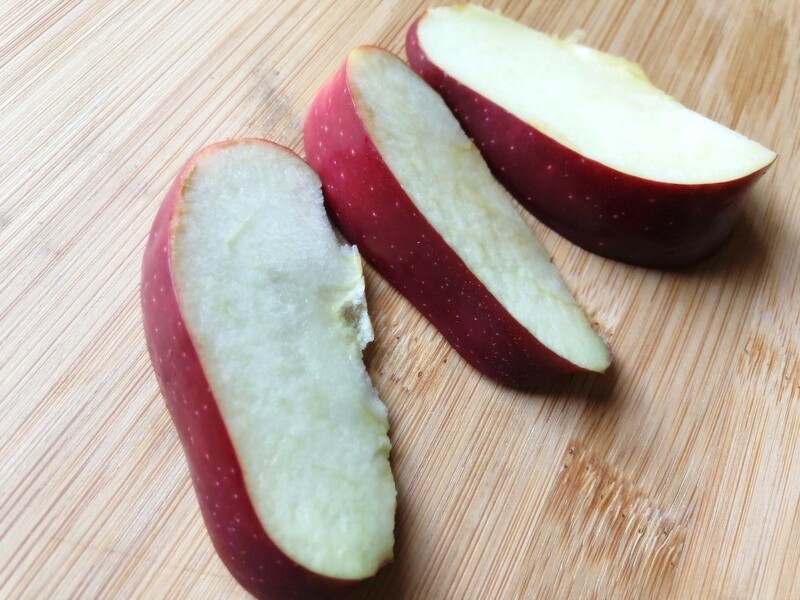 Cut the apple into slices. It helps if the inside edge is a little bit flat so that the apple wedges can stand up on the plate. Note: I recommend spritzing the apple slices with a little bit of lemon juice to prevent browning. 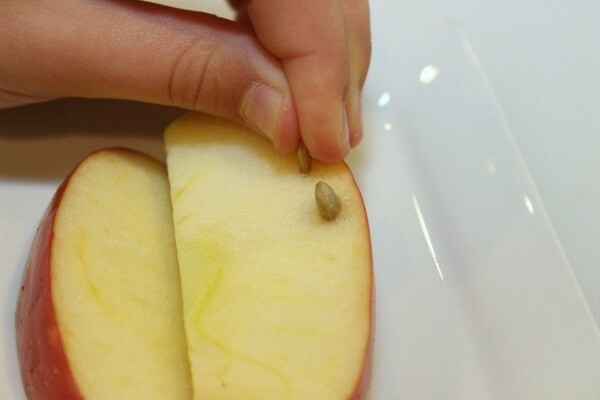 Push sunflower seeds into the apple slices, around the edge near the peel. This creates the teeth. 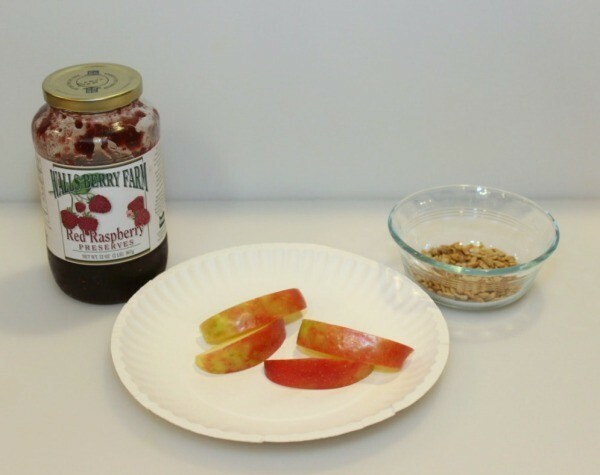 Put a small spoonful of jelly in between the two slices of apple and spread it out. Then gently close the mouth onto the jelly. 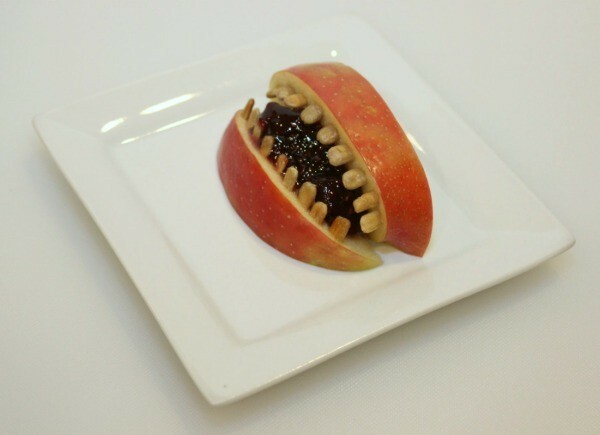 These treats are a little more healthy than most, but are sure to fit right in with other spooky treats at your Halloween party.